Bringing roofing expertise to everyone. I started NorthWest Construction to accomplish one goal and one goal only: To provide quality materials and workmanship at reasonable prices, while never compromising my personal integrity or that of my company. 1990 Terry Burke enters into the Roofing and Construction industry. 2011 – Super Service Award – Angie’s List. How long have we been roofing and construction contractors? NorthWest Construction has been in business since 2003, and its owner Terry Burke has been “in the business” since 1990. Hard to believe, and perhaps harder to admit that its been almost 25 years! How many roofing contractors can say this? NorthWest Construction has been a member of the Better Business Bureau since its inception and proudly carries an A+ Certified Rating. You can find us on Angie’s List, where we also an A+ Rating, and have been awarded the Super Service Award SEVEN YEARS in a ROW! 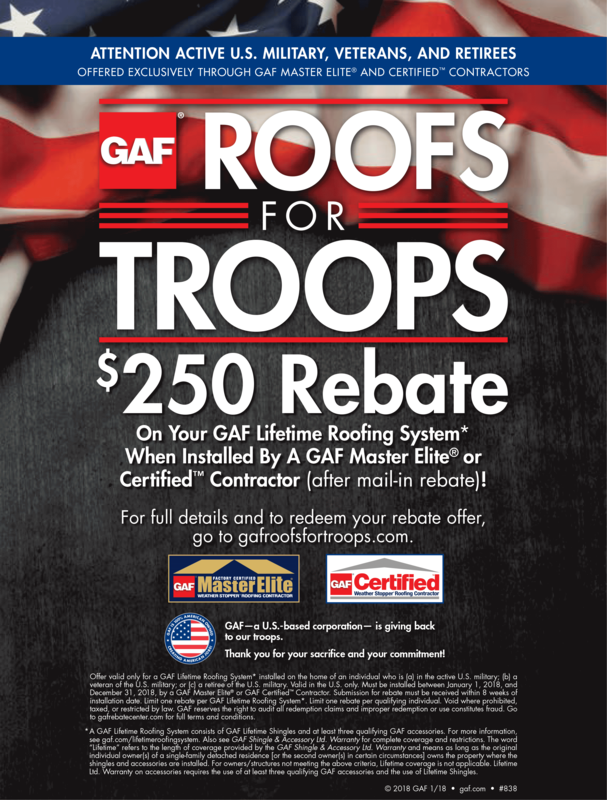 Do you know what a difference a GAF Master Elite contractor can make? At NorthWest Construction, our skilled roofing professionals install roofing systems by GAF, North America’s leading manufacturer of roofing materials. We prefer GAF products for their superior quality, durability and because they are backed by the best warranty in the business.Our Metro Detroit roofing team has also earned the designation of GAF Master Elite Certified roofing contractor, which means NorthWest Construction ranks among the top 3% of all contractors in the nation. Our roofing installation crews are trained and certified to stringent manufacturer standards. That’s vitally important in this industry: roofs installed by uncertified roofers can void the manufacturer’s warranty. Be properly licensed to perform roofing work in Michigan. PROTECT YOUR HOME WITH A FREE ROOFING SYSTEM INSPECTION! Put your faith in the roofers Metro Detroit homeowners have trusted for almost 25 years! 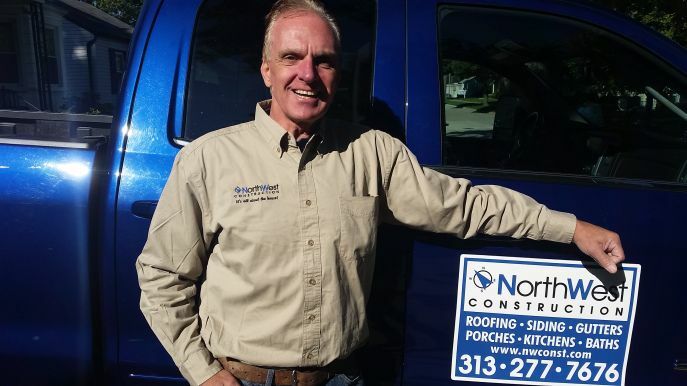 Call Terry Burke, your GAF certified roofing expert at NorthWest Construction today at (313) 277-7676 for a FREE consultation, FREE Roofing System Inspection and written estimate for your roofing project. HOME IMPROVEMENTS THAT MEET AT THE CORNER OF QUALITY AND COST! At NorthWest Construction our goal is to help our clients solve problems, make the best home improvement decisions that will make your house a home to be proud of, all while meeting at the corner of Quality and Cost. What we mean by that is, that we will offer the best pricing available based upon the level and quality of our workmanship, materials and service that we provide. We’ll do everything except cut corners to save you money! Does NorthWest Construction offer any Warranties or Guaranties? The GAF System Plus comes with Lifetime Warranty on GAF roofing systems. This warranty is Transferrable if you decide to sell your home down the road, which is a great benefit and value to a potential buyer. We also offer a 10 year warranty on workmanship. As the owner of NorthWest Construction I am involved in every project. We have had the same technicians year after year. They are experienced, trained, concerned about quality workmanship and getting the job done right opposed to getting the job done in a hurry. Again, It’s All About The House! Why should I do business with Northwest Construction? When you do business with NorthWest Construction you get personal service and completive pricing. You deal directly with the owner (Terry Burke). At the core, we are builders not salesmen. Which means we have a greater understanding of the projects we undertake, and what is involved to complete them on time, and at or under budget. You only have to work with one company for all your home improvement needs and desires! In short – We care. A lot.